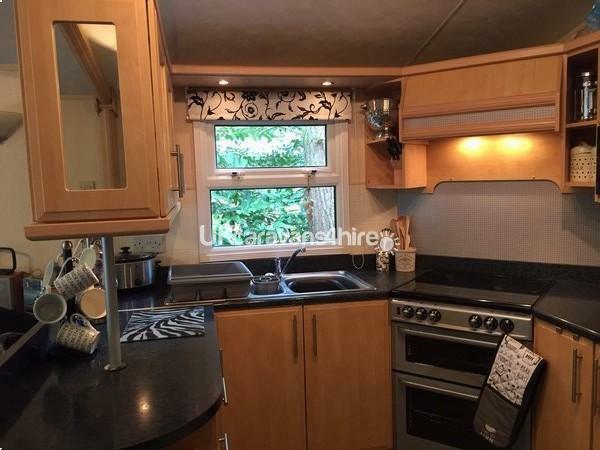 Pinecotes is an immaculate, centrally heated, privately owned 37'x 12' 2005 Willerby Aspen static caravan with its own fenced in garden occupying plot 112 in the stunning peaceful woodland setting of the award winning Kelling Heath Holiday Park voted the best Holiday Park in the Country 2013. 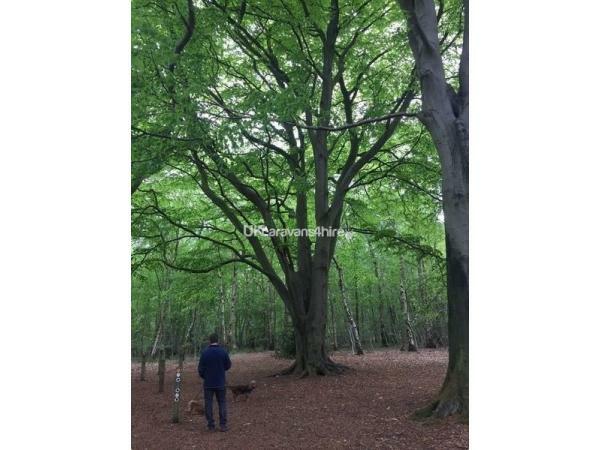 The eco-friendly Park is set in 270 acres of woodland and rare open heathland in an Area of Outstanding Natural Beauty and situated close to the North Norfolk coastal village of Weybourne and approximately 4 miles from Sheringham. The Park's excellent facilities include a first class health and leisure centre with indoor pool and outdoor pool with sun terrace (open summer), sauna, jacuzzi, steam room, tennis courts, fully equipped gym (2 for 1 Leisure Centre membership available to guests), restaurants and bars, on-site shop stocked with local produce, organised activities and events for children and adults, cyle hire, table tennis, petanque and more. There are many things to do and see in the surrounding area and near to beautiful sandy beaches such as Holkham, Wells Next the Sea and Beeston Regis are all within a short drive away. Beautiful seaside towns such as Sheringham and Cromer, pretty Norfolk villages such as Holt, Burnham Market are also just a short drive away. There is also the RSPB and Heritage coast sites at Blakeney Point and Cley Marshes, several National Trust properties such as Blickling Hall and Felbrigg Hall. Numerous visitor attractions including the Poppy Steam Train line which has a train halt on the Park and runs a regular service between Holt and Sheringham or if you prefer you can get closer to nature simply by walking around the 270 acres of woodland and heathland that make up the Holiday Park. Or even simpler than that just look out the window at many different birds that feed at various points around the caravan plot. There is also a nesting box with a built in colour camera which allows live footage via the TV in the comfort of the front room. Deer may also be seen during quieter times. 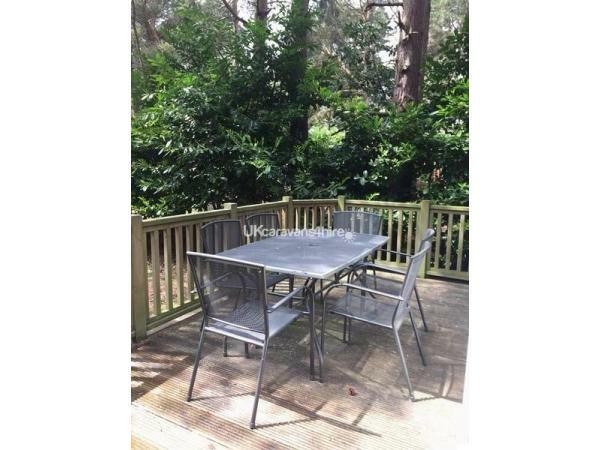 If you decide to venture further afield to visit the many attractions that this part of the country has to offer then Kelling Heath provides the ideal base and Pinecotes the perfect retreat in which to do so. Additional Info: The Forge (Pub) Open from 11am - 11pm daily with food being served from 12pm - 9pm offering lunch and evening menus with full table service and dogs welcome in the Forge bar area. A booking system is now in place for all Kelling Heath Restaurants but still continue to welcome 'walk-in' guests but to avoid disappointment please call 01263 589913 or pre-book a table at the host station entrances or at any till point in the restaurants. The Terrace is open from 11am - 10pm daily, providing access to The Den and a soft seating area offering a Carvery every Sunday from 12pm - 3pm (12pm - 9pm in peak holiday weeks), the Buffet restaurant offers a number of different food themes throughout the week, such as a traditional Carvery, Pie night and Spice night. These will be available on various dates throughout the year from 5pm - 9pm. Dogs are welcome in the entrance area of the Terrace. Breakfast on the Square Opens 8am - 12pm daily serving coffee, pastries, baps and traditional English breakfast to eat in and relax in the informal cafe style restaurant, or alternatively takeaway options to enjoy in the comfort of your accommodation. Pizza on the Square Opens from 5pm - 9pm during peak holiday weeks and selected dates through the rest of the season. Dine in and takeaway served until 9pm offering a variety of Pizza and Pasta dishes, along with starters and desserts to enjoy in the cafe style restaurant. To place an order for a takeaway please call 01263 589914 during opening hours. Pop Ups - A Norfolk Icon, the Zaks Caravan will be opening on various dates throughout the season offering breakfast and Zaks inconic Burgers and Hot Dogs, along with hot and cold drinks. There will be a number of other pop up food providers offering both savoury and sweet options. Self Catering - The Village Store is open 7 days a week, is well stocked with well known brands and a wide range of locally sourced produce including a range of 'Cook' frozen ready meals for you to enjoy in the comfort of your accommodation plus a soft seating area to relax and enjoy a coffee. 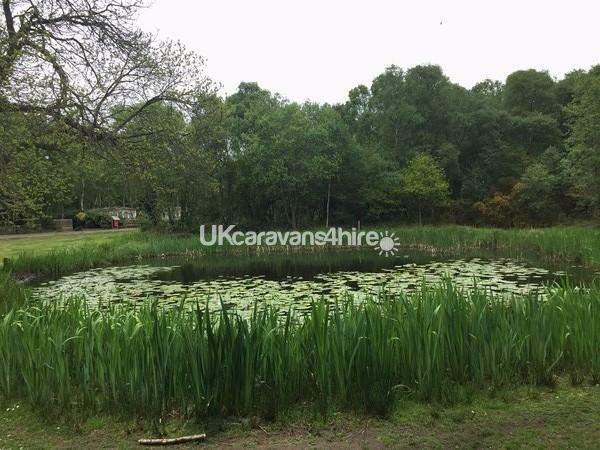 Absoultely delightful stay in a well kept, very welcoming and well equipped caravan. We will be returning hopefully very soon! Excellent holiday home and brilliant for our 2 dogs who also very much enjoyed the stay. Welcomed with a bottle of wine and chocolates which was an added bonus. Thank you so much! Lovely very well equipped caravan. Secluded private position but close to amenities. Beautiful holiday park, children loved being out on their bikes and playing in the parks. Short drive to stunning huge beaches especially Wells and Holkham. Highly recommend. Just back from a wonderful break in North Norfolk. The caravan was lovely and very comfortable with everything we could need. It's was dog friendly too. A short walk to the centre with excellent facilities, shop, bar ,restaurant , swimming pool etc. The caravan was a great base to explore the surrounding area. Would definitely recommend it, and will look at rebooking in the future. Thank you so much Jackie for your review and are so glad you enjoyed your stay. We look forward to welcoming you back to Pinecotes in the near future. Best wishes Julia and Matthew.